Since 1945, The Beach Company has endeavored to acquire, manage, develop and market diversified properties with this single principle in mind: The creation of long term value. Starting with the purchase of the Isle of Palms, a 2,900-acre barrier island along the South Carolina coast, the Beach Company began a tradition of developing and marketing large-scale oceanfront properties. Following this effort, the company expanded to include the leasing, management and development of retail shopping centers, office buildings, industrial facilities and multi-family properties. The Beach Company’s projects share a common thread of success founded in the company’s excellent reputation for meticulous attention to detail. 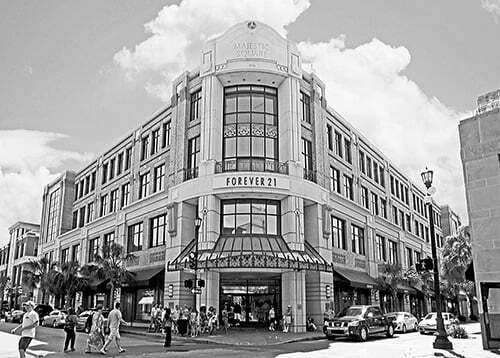 These projects include residential ventures from the acquisitions of Isle of Palms and Kiawah Island to luxury downtown condominiums at The Bristol and class A apartment developments such as Central Square at Watermark, The Boulevard, and Riviera. 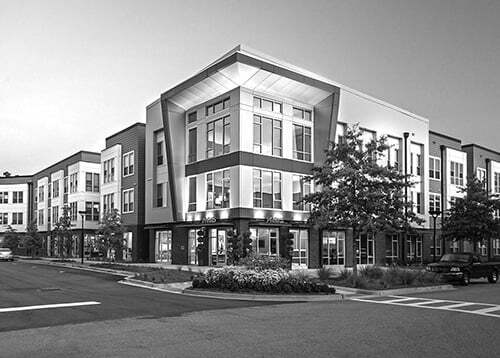 A sampling of commercial projects range from the company’s downtown Charleston, South Carolina projects such as Majestic Square, Victoria Center and the Bank of America Building to Seaside Farms mixed-use development located in Mount Pleasant, South Carolina. The company now offers the widest range of real estate services of any firm in the region. By design, we tailor our services to meet each property owner’s specific goals and objectives. Our experienced staff includes seasoned professionals with proven track records and with dedications to the commercial real estate profession. Conservative and meticulous, The Beach Company has earned a reputation for long-term success. This reputation is a result of decades of solid performance. The Beach Company has prospered for over 70 years. The focus for the last few years has been to develop and manage some of the finest apartment communities in the Southeast. In creating management strategies – whether they are for a Beach Company project, a client, or a joint venture partner – The Beach Company seeks to maximize return on investment as well as create long term value. The company’s officers and development teams are personally involved to ensure that the proper balance of these two objectives is achieved. When looking for a partner to manage your commercial real estate assets, there is no one-size-fits-all solution. It’s all about finding the right fit. Aligning the best property management team to your property’s goals is the key to achieving the greatest returns. Beach Management brings over 70 years of combined expertise managing the realm of multi-family properties. Bring the advantage of continuity of service to your properties. There is no substitute for the experience of a core team of professionals with longevity. Our property management professionals focus not only on the immediate but also on long-term value, and are expert at identifying opportunities for your assets. Your property will benefit from Beach Management’s best practices. Beach Management currently manages a diverse portfolio of over 200,000 SF of office, 272,000 SF of industrial, 926,000 SF of retail and over 2,200 multifamily units. Beach Management offers a full range of property management services to local and absentee property owners throughout the region. In house marketing team provides professional writing and graphic design for all Beach Commercial communications. In house marketing team manages mobile responsive website with featured listings. Beach Commercial website drives highly qualified traffic with the end result of more sales and leases. Beach Commercial advertises in Charleston Regional Business Journal. Beach Commercial listings appear on Multiple Listings Service, and Loopnet.com. Custom online campaigns may be created for your listing for an additional charge. Beach Commercial engages qualified leads with information on multiple social media platforms and marketing channels. 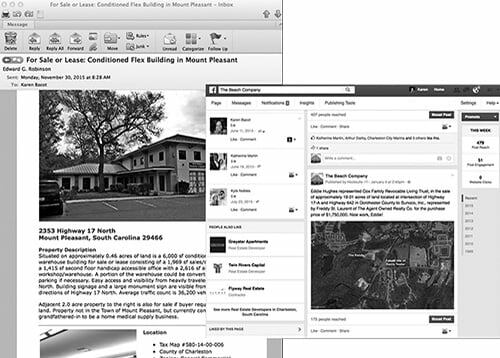 Our in house marketing team promotes listings via Facebook, LinkedIn and Twitter. The Beach Company maintains a database of Charleston Tri-County brokers and agents, to whom we distribute emails promoting each of our listings.